I don't know much about Christianity so I was watching this video: Is Jesus God? At the start of the debate Stanley Sjoberg says Jesus is the Son of God. Near the 21:30 mark, the pastor mentions, "you see Jesus is not the son of God". At the beginning he said "Jesus is the son of God". After that he said "Jesus is the God" and then "Jesus is equal to God". Is he equivocating here or what is going on? If Jesus was God, then why/to whom did he pray? How many Gods are there? How many gods are there in Christianity? If there is a god superior/bigger than Jesus, then why are there no Church/temple for those gods? Why do people not worship them? There is one God who has revealed himself in three persons. The vast majority of Christians across all major sects agree that Jesus is both the Son of God and God. This has been articulated many mays, but is not easy to explain in the confines of language. He is not the "son" as is a physical offspring as the result of sexual relations, but in another sense of being "begotten". Not created (as he always existed), and not lesser than (as they are one God) but having a defined relationship in himself. This is the classic issue knows as the "Trinity"—one God in three persons, all fully God not separate beings. We don't know (because we aren't told) exactly why God is this way, just that he is and this is how he has revealed himself to us. God himself chose to become a man, to reveal himself to us in human flesh, the God-man Jesus Christ—100% God, 100% man. Having listened to Pastor Stanley's address, he seems quite clear. You may not like or fully understand what he is saying, but he isn't equivocating or being irrational. His representation of what the Bible says about Jesus is rather accurate and would be agreeable to most Christians of every major sect. The statement at 21:30 is quite plain but you have taken it out of context. He says "Jesus is not the son of God in the same way that I am the son of my Father". In this section he is defining his terms and making it what he does or does not mean. He goes on to explain how God's existence transcends the physical creation and we only exist in him. Therefor our physical relationship to our fathers is just a small aspect of a son/father relationship and what God means when he says that Jesus is his son is much more than that. All the way up to minute 28 he expands on the idea of God's "begetting" a son transcending our understanding of the physical world. On a few minor points unrelated to the person of Jesus he wanders a little bit from broadly accepted teachings. For example his theology seems to be dispensational and pre-millenial. His eschatology is not important for this question whether those views are correct or not, but you should be aware that there are differences between major Christian sects on those issues. Likewise the bit in minute 43 about no-cost would be disputed by a number of Christian perspectives. As for why Jesus prayed, there are several explanations. One is simply that as a man he demonstrated how to live in a proper relationship with God. He was a perfect role model for men and therefore did what men should do. Additionally as one of the persons of the God-head he was in fellowship with his Father. Of course there are no other superior beings nor churches or temples dedicated to any other in true Christianity because we believe in only one God. How many Gods do we have? One and only one! How many persons are there in God? Three and only three! Who are them? Father, Son and Holy Spirit. Do we worship them separately? NO! Because they are ONE. The Father plays the role of a father; the Son and the Spirit does the will of the Father. The Son plays the role of a mediator between God and mankind. Holy Spirit was sent by the Father to guide our hearts to God. Why did Jesus pray? Because He is a mediator between God and mankind. And much more. See more titles here. OK. I think that's enough for now. If you are still confused about the Trinity and the mysterious identities of Jesus, I can't help anymore but to redirect you to a video, "Ravi Zacharias explains the Trinity". He said this as a prayer, after calling Lazarus out from the tomb. There was no recorded prayer beforehand asking God to raise Lazarus, but when Christ called it nonetheless happened, and for the benefit of His listeners He then established by whose power He had called Lazarus from the tomb. I would additionally suggest that prayer helps us remember where our answers come from. God knows our needs, but if we did not ask Him to supply them we might not recognize His provision when it comes, and so err. Prayer, like praise, is a necessary part of giving all glory to God. Our LORD JESUS CHRIST, the ONE AND ONLY TRUE GOD is called by three names, viz., GOD the FATHER; GOD the SON; and GOD the Holy Spirit. GOD the FATHER came into this world as Saviour with the name JESUS CHRIST to save sinners of the world. Thus, GOD the FATHER came into this world as the SON. HE HIMSELF is the GOD the SON. HE suffered terribly for sinners and died on the cross and was buried. JESUS CHRIST resurrected HIMSELF on the third day and appeared alive to many for forty days. On the 40th day after HIS resurrection, JESUS CHRIST went up to heaven before the eyes of HIS disciples. After our LORD JESUS CHRIST had gone up to heaven, HE sent the Holy Spirit, the holy power or the holy strength to live a holy life, into the world on the day of Pentecost, the 50th day of HIS resurrection, as HE had promised HIS disciples. Thus, JESUS CHRIST HIMSELF came into this world as the Holy Spirit. HE HIMSELF is the GOD, the Holy Spirit. Thus the FATHER, the SON, and the Holy Spirit are together and ONE. So the LORD JESUS CHRIST is called the 'GOD of the Holy Trinity'. Therefore, it is a great truth that the GOD who is called by the names the FATHER, the SON and the Holy Spirit is ONE GOD only. From the above verse, anyone can understand that the mighty and wonderful GOD, the SON is the everlasting FATHER; and the GOD, the everlasting FATHER is the SON, the LORD JESUS CHRIST, who came into this world as a child to save and redeem sinners from their sins. Moreover GOD, the FATHER, the ONLY TRUE GOD is the Holy Spirit. HE is without form and is invisible. GOD, the SON or the LORD JESUS CHRIST took the human form; GOD, the SON or the LORD JESUS CHRIST was visible. GOD, the Holy Spirit has no form and is invisible. The ONLY TRUE GOD, the FATHER who is the Holy Spirit HIMSELF is GOD, the SON who is with form; and GOD, the Holy Spirit who is without form. GOD the FATHER, the ONLY TRUE GOD works as Saviour to save sinners from their sins, with the name GOD, the SON and Saviour; and with the name the Holy Spirit, HE works to strengthen people to live a holy life. The two immensely glorious works of GOD, the FATHER are the work of salvation and the work of strengthening to live a holy life. These two functions are performed by the ONLY TRUE GOD, GOD the FATHER HIMSELF. Therefore, there is no reason to have any doubt over the fact that GOD is the ONE and the ONLY ONE who involves HIMSELF in various activities. We know that the one and only sun gives warmth and light. Like the one and the same sun that gives warmth and light, the ONE AND ONLY GOD, the FATHER performs the work of salvation and the work of strengthening people to live a holy life. The work of salvation is being done in the most holy name of JESUS CHRIST and the work of strengthening is being done in the most holy name of the Holy Spirit. The ONE GOD and the ONLY GOD and the ONE AND ONLY TRUE GOD, GOD the FATHER HIMSELF is doing these two activities. Therefore, there is no reason for anyone to have a doubt over the fact that GOD is ONLY ONE and salvation and strengthening people to live a holy life are HIS two glorious works. Salvation means saving of people's souls from sins and their consequences. The Christian GOD is the Holy Trinity GOD-the unity of GOD the FATHER, GOD the SON and GOD the Holy Spirit as ONE GOD. The Christian GOD is the Holy Triune GOD-three functional Persons, GOD the FATHER, GOD the SON and GOD the Holy Spirit in one GODHEAD (I John 5:7). Mathematically saying, one into one into one = one (1 x 1 x 1 = 1). There is no change in the ONE GOD and the ONE AND ONLY TRUE GOD, the LORD JESUS CHRIST. In LORD JESUS CHRIST resides GOD the FATHER and GOD the holy Spirit. The facts given above are divine secrets. None but the true servants of GOD can understand them. Anyone who reads the Holy Bible literally cannot understand the divine secrets. Though the holy scripture of the LORD has been written literally, it contains spiritual meanings and divine meanings. Only the true spiritual men can understand its exact meaning. Praise The LORD! Alleluia! " taken from the Book titled "ONE GOD ONE PEOPLE" written by Sadhu. C. Selvaraj, Administrator and Trustee, Beginning Pentecostal Truth Church, Malavilai, South India 629161. Not the answer you're looking for? 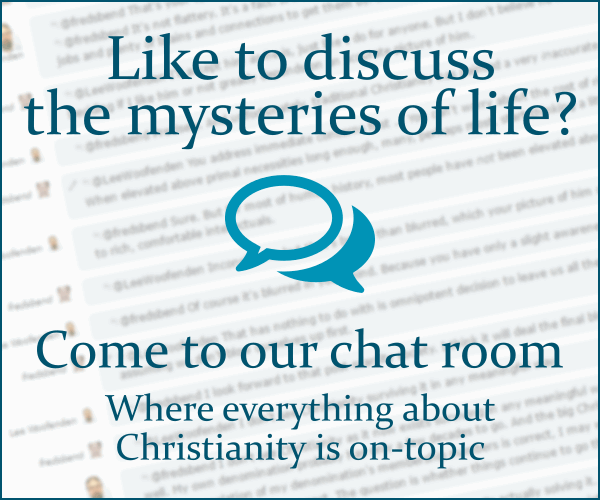 Browse other questions tagged life-of-jesus trinity prayer or ask your own question. Which God do Muslims pray to according to Catholic, Orthodox and main-stream Protestant tradition? Couldn't it be idol worship to pray to Jesus if he is not God? If God is one then why is belief in God insufficient? Jesus called God his own Father, and this is supposed to mean that Jesus is equal with God. Why?